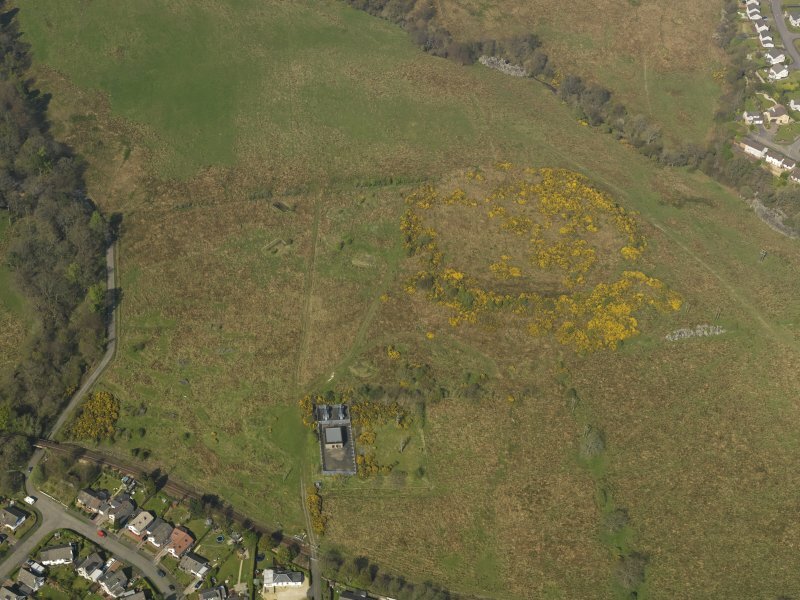 Oblique aerial view centred on the remains of the heavy anti aircraft battery, taken from the WSW. 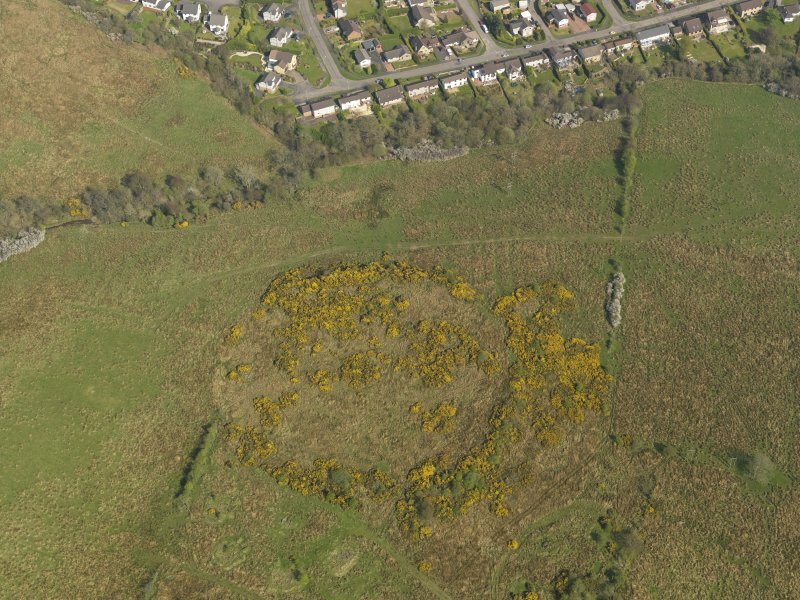 Oblique aerial view centred on the remains of the heavy anti aircraft battery, taken from the W.
Oblique aerial view centred on the remains of the heavy anti aircraft battery, taken from the E.
Oblique aerial view centred on the remains of the heavy anti aircraft battery, taken from the SSE. 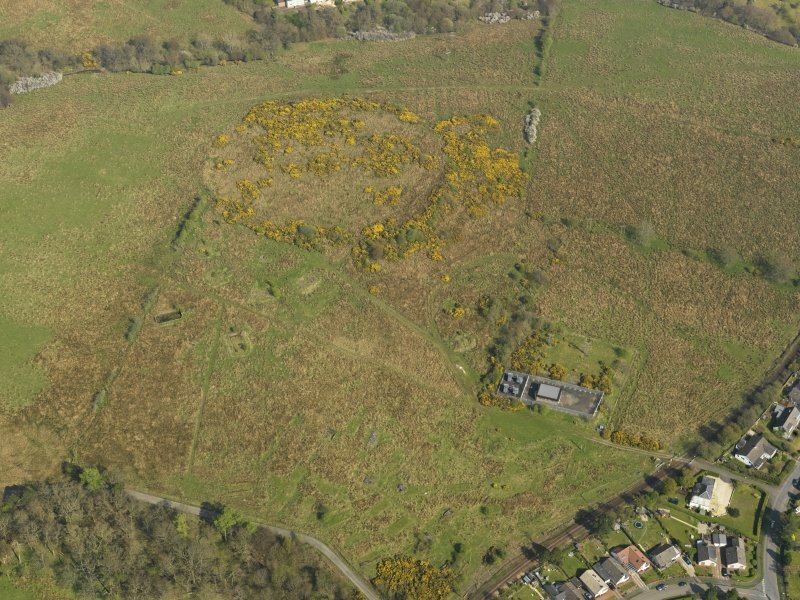 Oblique aerial view centred on the remains of the heavy anti aircraft battery, taken from the SSW. 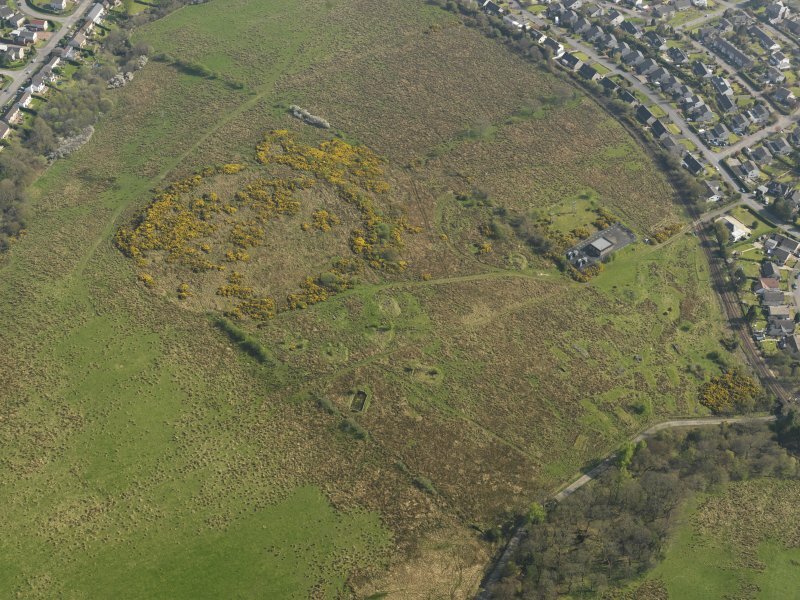 Oblique aerial view centred on the remains of the heavy anti aircraft battery, taken from the WNW. 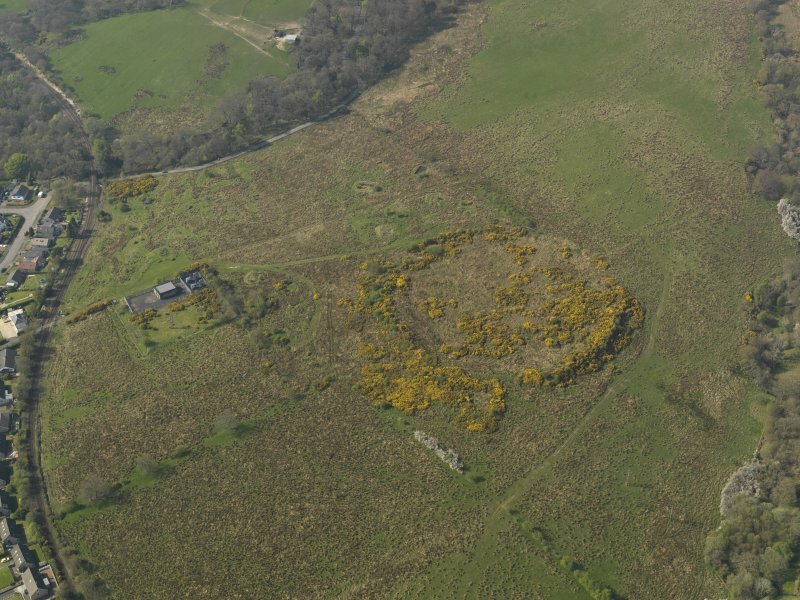 Oblique aerial view centred on the remains of the heavy anti aircraft battery, taken from the ESE. 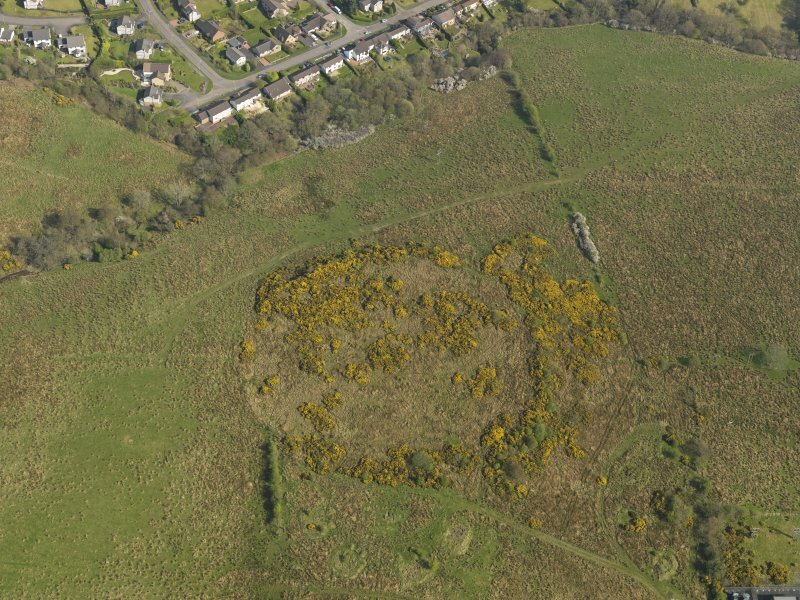 Oblique aerial view centred on the remains of the heavy anti aircraft battery, taken from the SE. 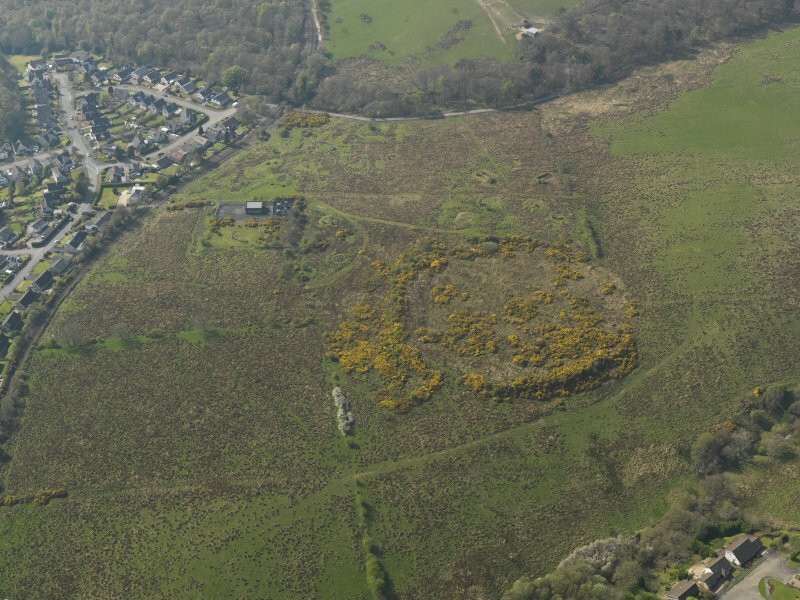 Oblique aerial view centred on the remains of the heavy anti aircraft battery, taken from the NW. 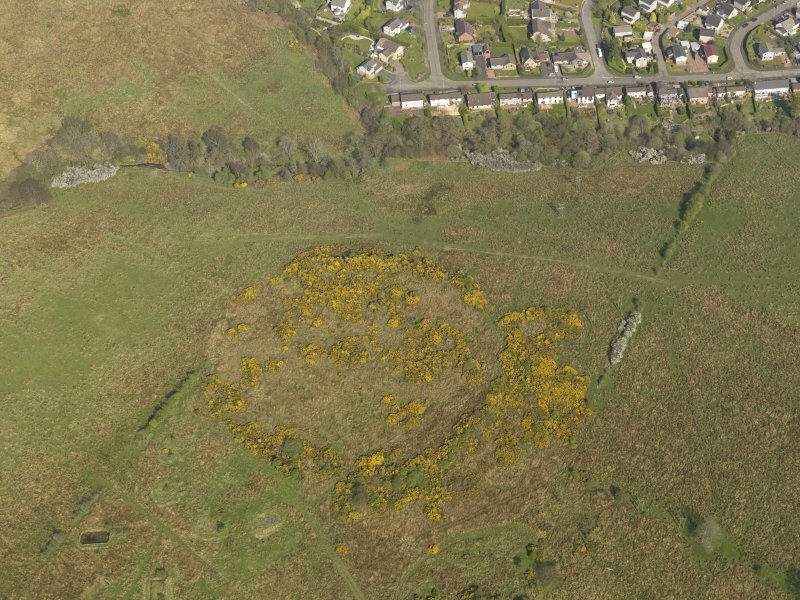 Oblique aerial view centred on the remains of the heavy anti aircraft battery, taken from the SW. 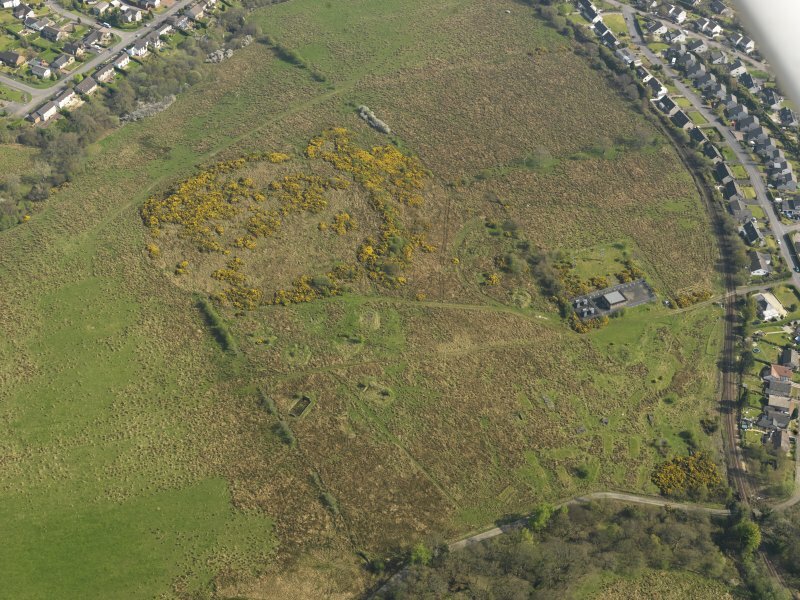 This anti-aircraft battery is situated on the N side of Helensburgh near Ardencaple Wood. The battery has recently been demolished and the four gun emplacements and command post with two additional holdfasts on each flank have been reduced to piles of rubble. There are many hut bases to the SW of the battery where the accommodation for crew was located. On the W side, are blast walls for what could have been three Nissen hut magazines with paths leading to the gun positions. Records show the armament at one stage to be 3.7-inch guns. A RAF WW II oblique aerial photograph (F 309, 3656, flown 6 JUne 1941), shows the battery before the erection of the Gl-mat for the radar unit. 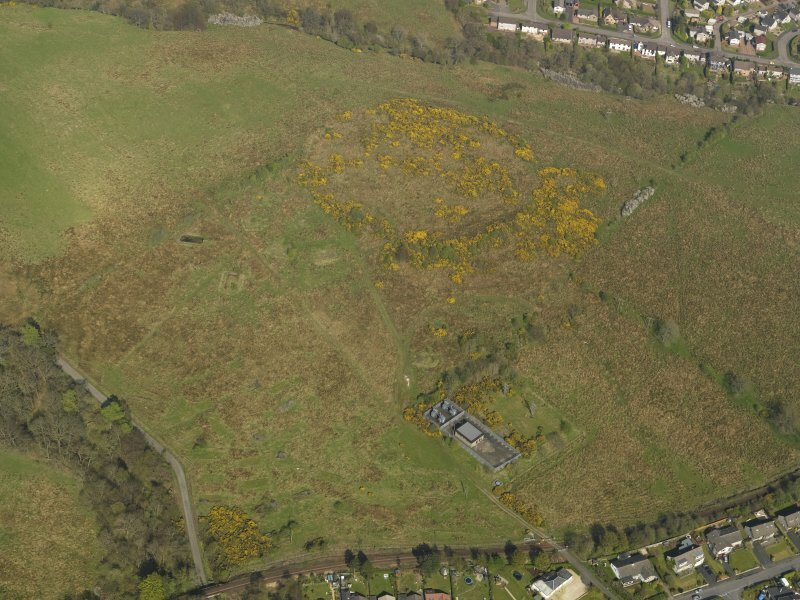 In addition a possible dummy battery and the accommodation camp are clearly visible on the photograph. (Battery is also shown on vertical air photographs taken in 1985 which show that traces on the dummy battery survived to that date). 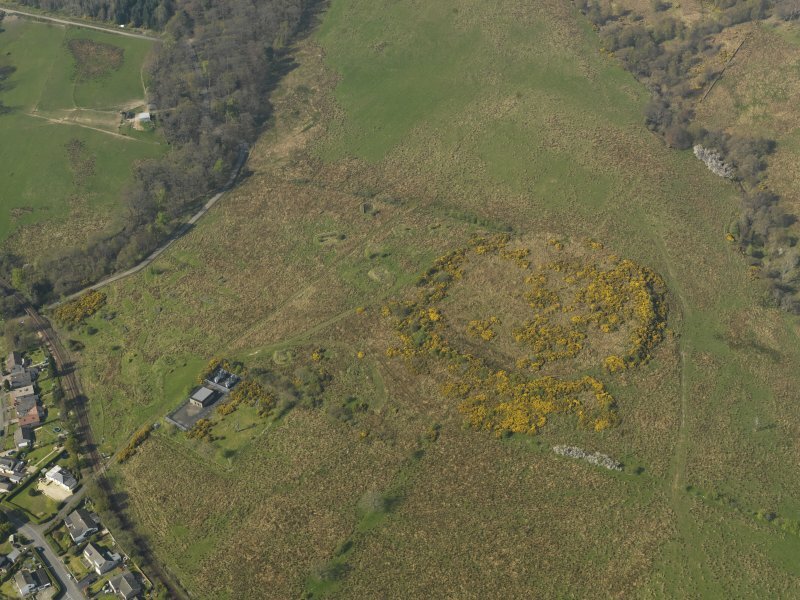 Information from RCAHMS (DE), November 2005.